Capture, analyze, and act on everything happening outside of the four walls of your business. Want a free sample intelligence report on your competitors? Crayon tracks 100+ data types across 300m+ sources to provide a complete view of your competitors’ every move. Intelligence updates are organized and prioritized for easy review, so you can focus on analysis and discussion. 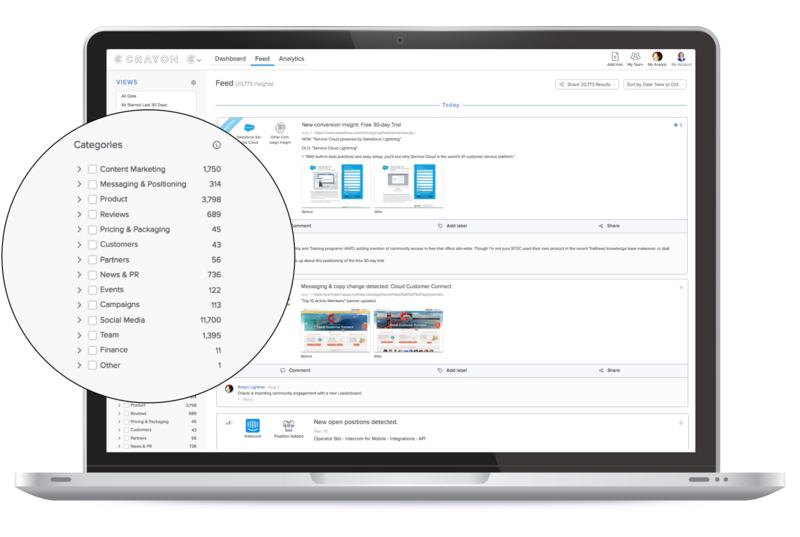 Complete market insights allow you to enable sales, inform product decisions, and optimize marketing campaigns. Capture every move your competitors make automatically. Tap into 300M+ sources of competitive intelligence to track everything from a pricing change, customer reviews, marketing campaigns, and more. Spend less time researching and more time analyzing and acting on your discoveries. 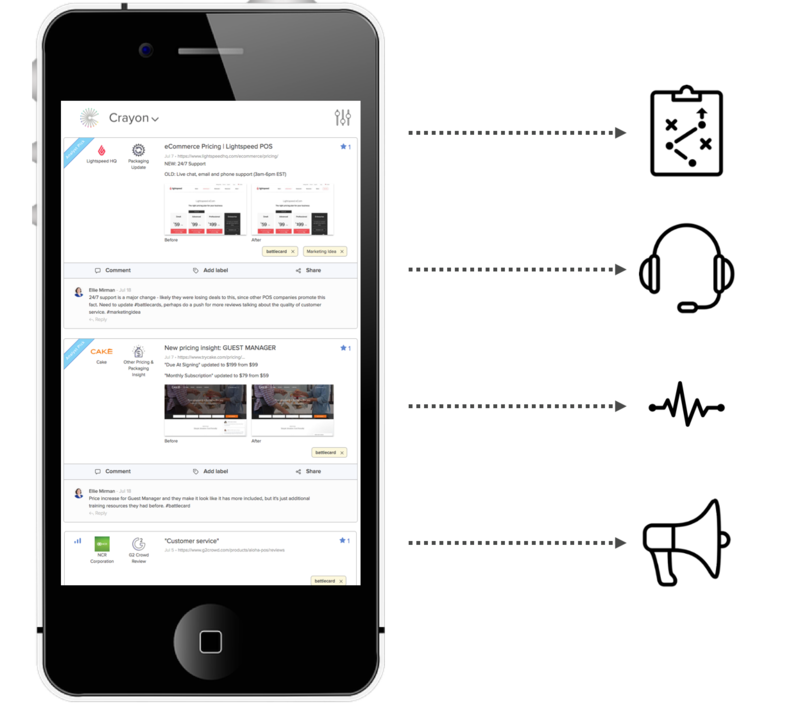 Learn more about Crayon’s Competitive Intelligence and What We Track. Surface the signal out of the noise, combining artificial and human intelligence to highlight key updates and trends. 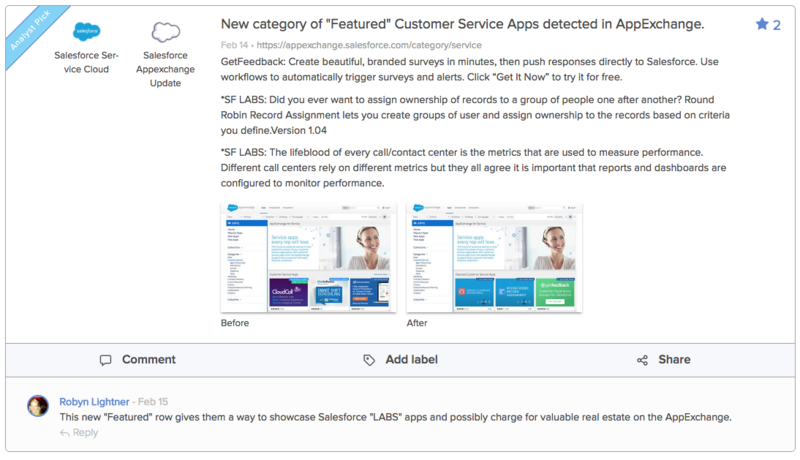 Spot and analyze trends, then collaborate with your team to determine what actions to take. Learn more about Crayon's Competitive Analysis. Drive product strategies, sales enablement programs, marketing campaigns, and more with real-time, actionable competitive intelligence for every employee. Stay one step ahead of your competitors and deliver intelligence to the right teams while it’s fresh. Learn more about Crayon’s Email Digests and Sales Battlecards. Intel Pro and Intel Free? What has Crayon discovered about your competition? Learn more about the intel Crayon has collected on your industry and how you can leverage these insights to drive strategic decisions.